Music journalist Marc Eisen, a former editor at Isthmus newspaper, released his wonderfully idiosyncratic list of the best concerts in Southern Wisconsin. Marc Eisen keeps on truckin’, wearing out his car tires to cover the Southern Wisconsin musical “waterfront,” which typically extends across the bone-dry 85 miles between Madison and Milwaukee. He ought to be riding a high-speed public rail system the state received federal funding for, until Governor Scott Walker nakedly rejected it in a fit of anti-Obama, anti-public politicking that would be petty tyranny if it weren’t so damaging. But Eisen keeps rolling down the highways, and the neighborhood byways, to some relatively obscure venues like Kiki’s House of Righteous Music in Madison or The West Side Conservatory in Milwaukee. So I look forward to Eisen’s yearly assessments of our region’s best concerts. He’s a self-described “obsessive” who denies being a critic, for lacking formal musical education. But Marc’s got a ravenous and intelligent passion for music in many of its weird permutations, and a great nose for who’s holding down sanity’s fort while many voters wave white flags at the brute power-mongerers masquerading as empowerers. * Such targets are what many formal music critics swing at, and miss. The Gilded Age is back with a vengeance. And as contemporary analogues, the Republican masqueraders in the presidential primary come to mind, as does Russian President Vladimir Putin, Israeli President Benjamin Netanyahu, Syrian President Bashar al-Assad, NRA President Wayne LaPierre, Michigan Governor Rick “Love-That-Dirty-Water” Snyder and more than a few others. Eisen also included some good, tough reporting. 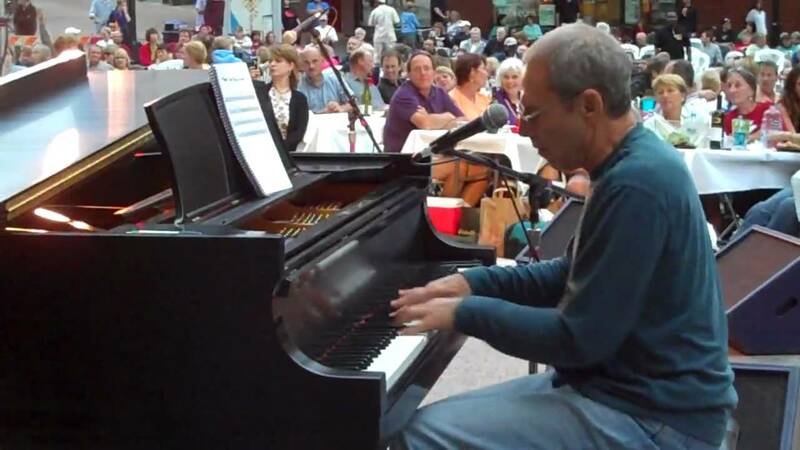 I was disheartened to read his report on the incident where a state government lackey accosted Madison’s brilliantly trenchant jazz pianist, singer-songwriter and truth-teller Ben Sidran — because he had the temerity to exercise his free-speech rights by publicly critiquing Wisconsin’s Governor Scott Walker, another great masquerader of our times. The scourge of Scott Walker continues to plague my economically-ravaged and battered home state. But artists and reporters like these give us hope and courage to continue the struggle. 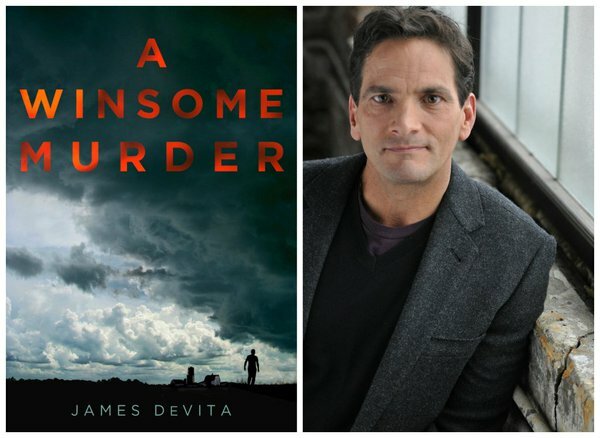 James DeVita knows both sides of homicide, having played both Hamlet and, years later, Claudius, who killed the prince’s father and stole his queen. DeVita now traffics through that insight as a writer. 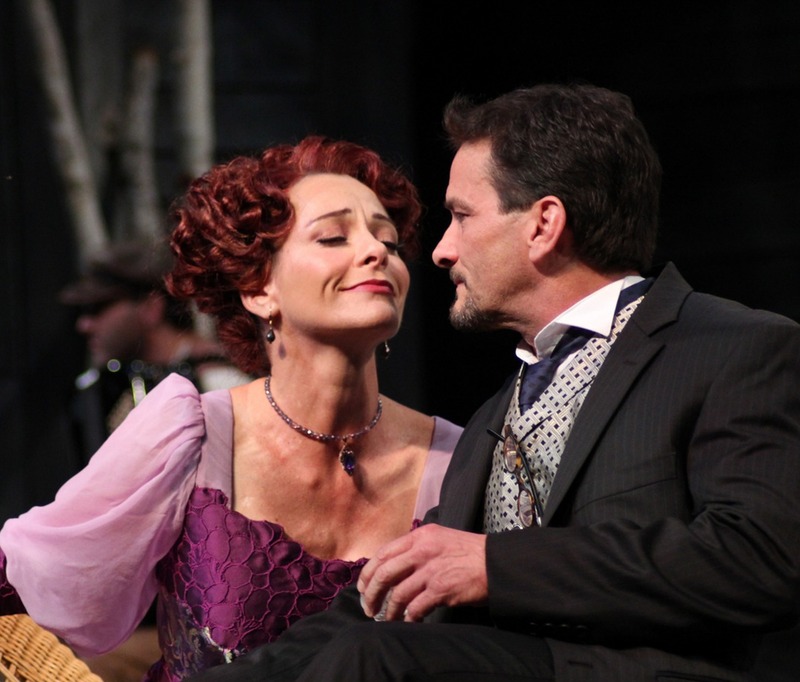 DeVita’s Italian-Irish passion and intelligence have burned through numerous Shakespeare and modern roles, from murderous to lady-killer, primarily with American Players Theatre. 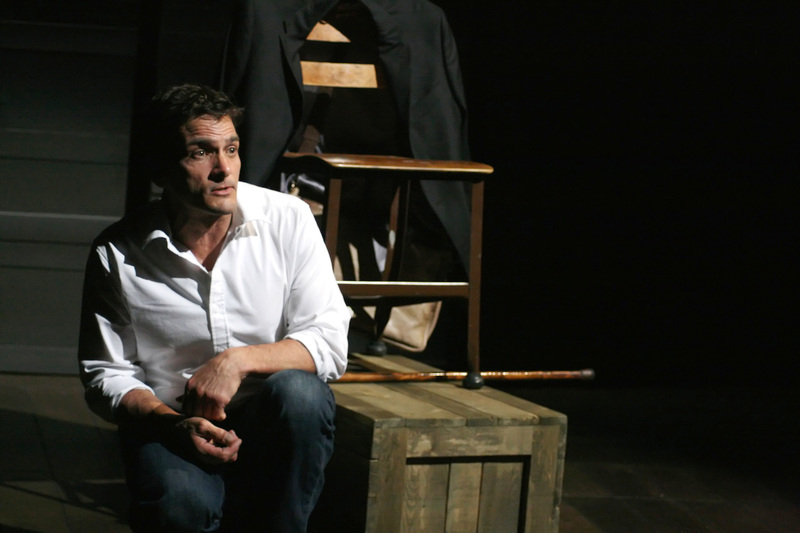 Jim DeVita in his one-man play “In Acting Shakespeare.” Photo credit: Carissa Dixon photo. Perhaps a working-class background put a chip on his shoulder as big as Richard III’s ominous hump. He’s polymathed into a playwright, author, award-winning children’s book author – and emergency medical technician. Now comes his first adult literary mayhem-mystery, A Winsome Murder. DeVita hoists a “cheap crime paperback novel” formula into a Shakespeare-haunted blood-adorned whodunit as effortlessly as his tough Chicago gumshoe might clean-jerk a cigarette to his curled lip. 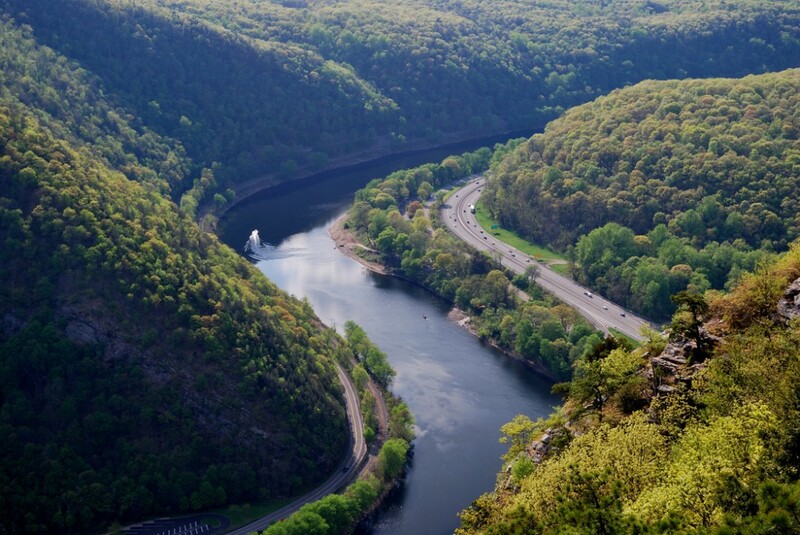 Where and how did the idea for a literary murder-mystery come to you? I didn’t set out to do that. I read that F. Scott Fitzgerald wrote to a blocked writer. Fitzgerald said, “Throw a body in there. It always livens things up.” So I just did that, I started with a body in a field and had no idea what was going to happen. The story started to grow around that. This line from Shakespeare’s Titus Andronicus came to me — when the detective looked at the body – because something was wrong with the body, dismemberment. So I thought, that’s weird. But the lines kept coming to me. I wondered, OK, could Shakespeare be helping this guy with his crimes, with this little quirk? I started to like it. It got fun — I’ve got a lot of information in my brain to do that. I’m not quitting my day job. I want to enjoy what I’m doing. Who are your primary influences among murder-mystery/ police procedurals, and why? Funny thing is, I wasn’t a mystery reader. Right now, I have Forensics for Dummies on my desk. So when I was writing it, I had the character Jillian McClay, who wants to write a mystery, doing that research. Most of my research was literal police procedurals. I wanted it to play out like most cheap crime paperback novels, and sneak this literature in. I kinda based Det. Mangan on some of my Irish uncles, some of the funniest men I know — dry, witty and quick. My two uncles were detectives. The first victim is involved with setting up a meth lab. Did Breaking Bad inspire you at all? No. Behind that was my work as an emergency medical technician, which I’ve done as a volunteer in Spring Green for 15 years. Meth is a problem here in the country. We take people into the hospital for it. We did training with the police because you get called to these things and it’s very dangerous. When you cook meth, it smells like sh-t so they do it out in these fields and woods. Det. Mangan breaks a stereotype of narrow-minded cops. How did you arrive at a Shakespeare and Melville-haunted detective? I find the tough-guy cop’s humor funny, the way he interrogates. I wanted him to be witty, kinda based on some of my Irish uncles, some of the funniest men I know, so dry, witty and quick. My two uncles were detectives. I kind of love that paradox street tough guy from Chicago who loves Shakespeare and Melville. Literary critic Harold Bloom has claimed grandly that Shakespeare “invented the human.” In the sense that we never knew what a human being was, or that it had been articulated well until Shakespeare started creating all these amazing characters and settings and exposed the human condition. Is there something to that? Having been an immersive Homer the last three years I’d say Homer did a pretty damn good job (regarding humanity). Shakespeare was a genius. They come along rarely like Mozart or Beethoven. It’s a quantum leap in something, but “invented”? I think he described the human condition better than most anyone. Like in my (In Acting Shakespeare) I say I don’t think Shakespeare felt or thought any differently than anyone else because I like to keep him human. But he did describe it better than anybody and you hear that as an audience or as a reader. You say, oh my God, that’s me, or I know people like that. Or like Beethoven, just the sound of it makes us weep. In A Winsome Murder, you delve into psychology with great deftness and conciseness. Have you learned from Shakespeare? Yes, Shakespeare was writing psychology before there was even a word for it. Now we called motives or whatever Freud has given us as motives. How does your experience as a Shakespearean actor play into your writing of this novel? Mostly in images from being around great theater for so long. But I have a lot of fun with dialogue. Most of my stuff I read out loud, different voices in my room. I sound a little crazy up here. I think my dialogue has been strong. I’m improving on my narrative and prose. The shifting points of view in A Winsome Murder is a classic suspense device. 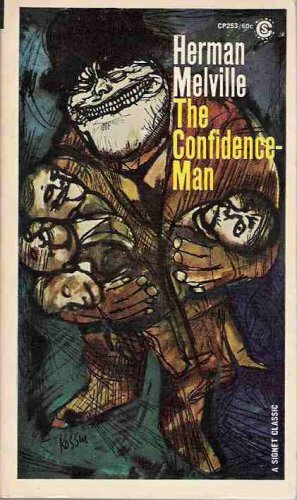 One book I remember it from very vividly is William Goldman’s Marathon Man. What do you like about it? Partly it’s challenging myself. My first book was all one point of view. An author helping me said, stick to one point of view because I was doing it, changing and not doing well. And now with the third one it’s kind of challenging, as you know it can be tricky. I’m still learning how to do it properly. I was really inspired by Atonement by Ian McEwan, an amazing book I love that he will have an event from one point of view and then write the same event from another point of view and the event seems completely different. Why did Melville come into play as a second source? Does drawing from Melville helps to Americanize the literary experience somewhat and expand some of its implications, especially for the obsessive mentality, or “worse than mad, Melvillian mad”? Partly because he and Shakespeare are my two favorite authors, and as I started to let the literature in, the Shakespeare stuff is more immediate to me. But it’s odd how they kind of live for me because I feel Melville’s profound, beautiful, unfathomable questions, as he called it, the “deep diving.” They’re kind of an answerable those things. And his talking to Hawthorne about huge stuff: God, Why are we here? It’s wonderful but doesn’t give me any answers because there are no answers. So it’s harder to get my hands around it, so I have some fun when the detective starts to think of Melville, he drives him crazy. But I love Melville, and the sea, and I’d like to do a one-man show on him. I’m waiting for the conceit to come. A parakeet plays a surprising role, though you don’t push credibility with a talking one that might solve the case. Do you have a thing for them? I’ve nothing for parakeets. it’s a bird that a female character (a murdered prostitute) has in her apartment. So it’s kind of a classic tough guy who doesn’t like birds or animals but he’s not gonna let the damn thing die. He has a good heart and I’m gonna bring her back in the next book, Phoebe the parakeet and Mangan. Titus Adronicus seems to be the most-quoted play. Is that because of its revenge thematics or is it also an underappreciated play? The reason it came up the most was because of the condition of the first body when it was found. In Titus, a girl is raped and both her hands are found cut off. This interview was originally published in The Shepherd Express in shorter form. 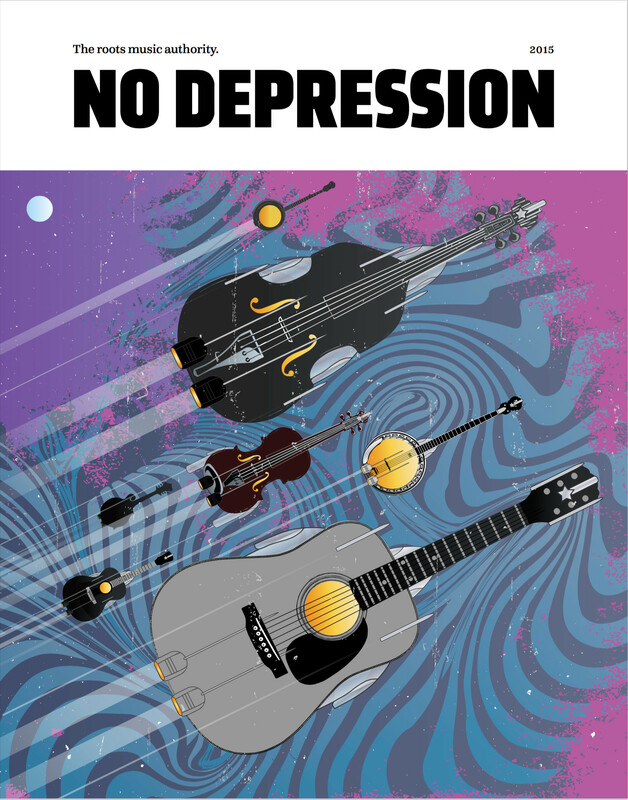 The cover of the first edition of No Depression’s revived print publication in 2015. Like many, I feared for the fate of No Depression: The Roots Music Authority when, financially strapped, it folded as a print magazine operation in 2008, and became a sprawling online site. The publication had exposed a vast movement of simultaneously backward-and-forward-looking musical art and craft, mining most of the indigenous genres that have shaped the history of American music. So the irony rang darkly that ND had forsaken the traditional print media form in which it had, despite its fascination with music traditions, bucked conventionality and even easy category — note the previous subtitle: The Bi-monthy Journal of Alt.Country Movement (Whatever that is) — for the fashionable and engulfing virtual presence of e-media. 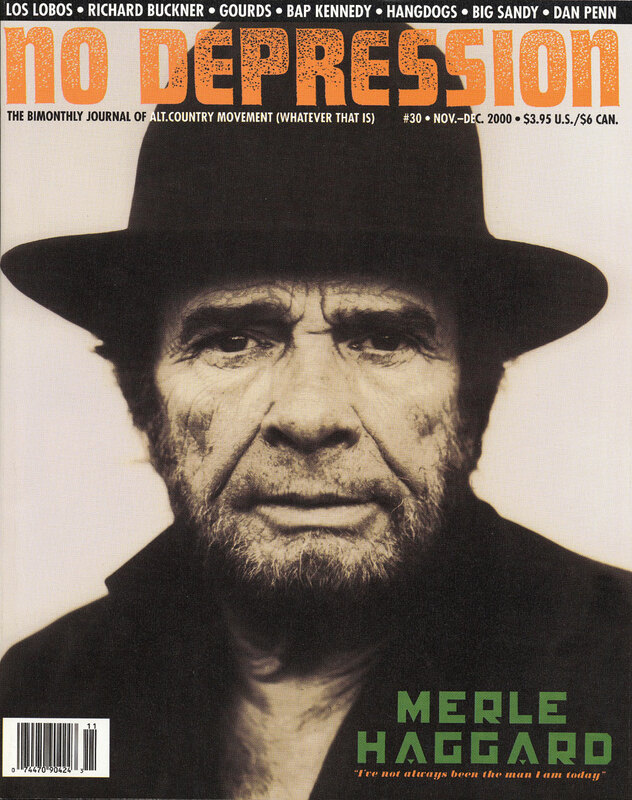 A cover of the print edition of No Depression magazine, established in 1995, here in its print-edition heyday. And today, as The Carter Family once sang and as the 1980s alt-country band Uncle Tupelo revived the sentiment: “There’s no depression in heaven,” and plenty less in the roots-music realms of battered, tattered planet Earth. The results of NoDepression.com have proved mainly rich expansion and even improvement in successive stages. The online edition soon became a strong international community of music lovers, as the editors allowed broad lee-way for anyone in the community to contribute, in a quite democratic manner. 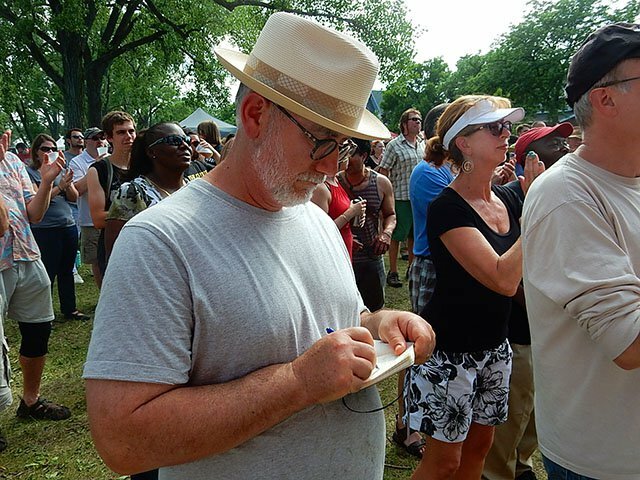 As a long-time music/arts journalist, I joined the community quickly and enjoyed the sense of connection, dialogue and debate among engaged, passionate people throughout Cyberscape. Puttering along on modest funds, the website finally gained invaluable financial influx when purchased by FreshGrass LLC in 2014. The new dual leadership instigated a largely successful redesign and streamlining of the site, with a return to a strong accent on professional journalism without betraying the music community that gives site its unique vitality. Then, NoDepression.com bucked most trends of mass media by returning to a print edition in September 2015, which publishes articles written exclusively for the print edition. 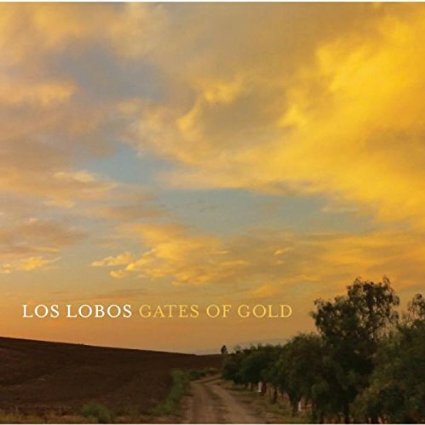 They also began to again commission long online cover stories from journalists in the community, with very competitive pay, to which I gladly contributed with a major profile of the great Chicano roots-rock band Los Lobos, upon release of their superb 2015 album Gates of Gold. Shortly after, the still-under-recognized 40-year-old group finally earned a nomination for The Rock ‘n Roll Hall of Fame, boosted by a fascinating new band biography Los Lobos: Dream in Blue by Chris Morris. So a hearty Culture Currents congratulations to No Depression, ably headed by vibrant and industrious editor Kim Reuhl, for a remarkable year of revival and reinvention. Besides regular contributions, including jazz postings that I hope expanded the purview of the site, I’ve also contributed to NoDepression.com‘s annual critics’ top 10, which complements the readers’ best of the year list of 50 favorite albums. Interestingly this year, my choices harmonized more with the larger community than with the other critics, as none of my top 10 choices concurred with the critics aggregate top 10. There’s no second-guessing on my choices although — with roots music’s remarkable breadth and depth — a goodly handful of surely-worthy albums eluded me by my poll deadline. Nevertheless here is my top 10 for the year followed by (on the link) the NoDepression.com community top 50 albums of 2015. And finally the composite of the NoDepression critics best albums of 2015.